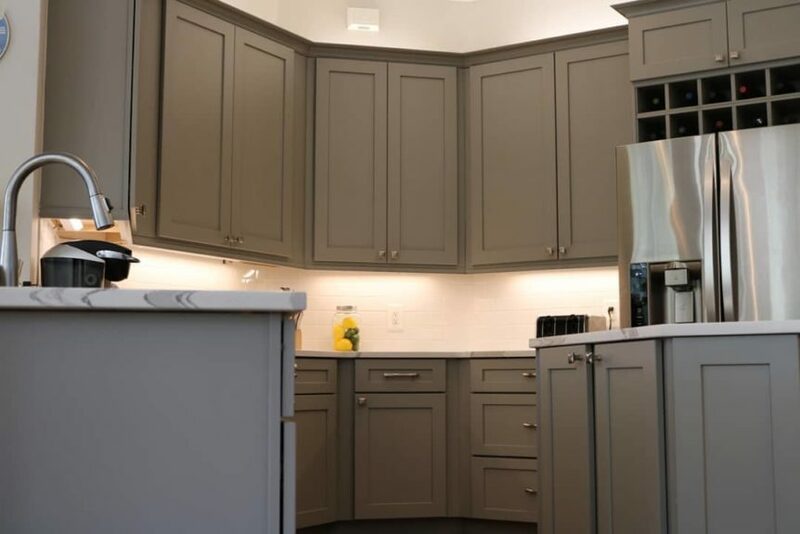 The client in Greenbrook Lakewood Ranch decided for a modern look kitchen with the cabinets in Grey with a white quartz countertop for their Kitchen Remodel. So amazing to come back home to a stunning new kitchen and bathrooms! With a refrigerator full of much needed breakfast essentials and bubbly! I couldn’t be happier with the service provided by A&B . I just can’t say enough! Everyone single person on the team is highly skilled and full of professional integrity- and just simply nice people to have working in the home. They truly went above and beyond!